Plan to construct 21 power plants, including private sector ones, in the country is underway to generate 23,252 megawatt (MW) of electricity. 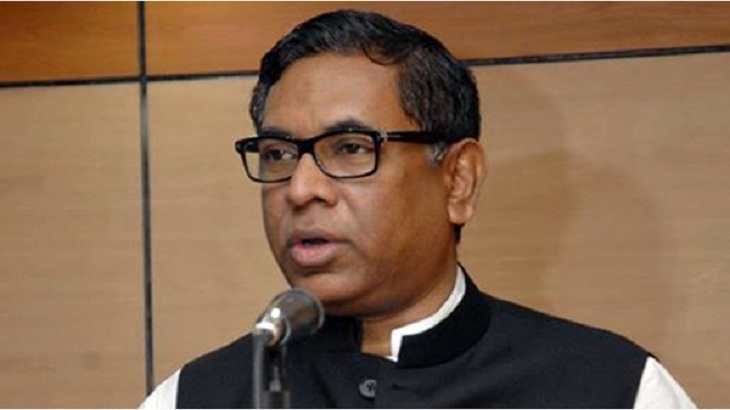 Quoting State Minister for Power, Energy and Mineral Resources Nasrul Hamid BSS said, "The government is constructing 47 power plants having 13,771 MW generation capacity and those will begin operation in phases from 2018 to 2024." He said since assuming to power, the present government constructed 85 power plants having capacity of 11,104 MW after taking time-befitting, realistic and sustainable steps. The state minister said currently the country's power generation capacity reaches 16,046 MW while about 90 percent people of the country were brought under power coverage. "And this has been possible due to bold and dynamic leadership of Prime Minister Sheikh Hasina." According to the Power Sector Master Plan, the country needs to achieve continuous economic growth of 7.4 percent annually for the period 2016-2020 to initially reach the standard of the medium to high-income nations. Talking to BSS, Director General of Power Cell Engineer Mohammad Hossain said some 30 power plants with capacity of 5,092 MW are under tender process. "We expect that the plants would come to operation from 2018 to 2022 in phases," he said, adding that at present, 63 power plants with capacity of 15,967 MW are under construction. Of the plants, he said, 20 plants having capacity of 7,857 MW are being constructed under public sector while 43 plants with capacity of 8,110 MW under private sector. Besides, 24 power plants with capacity of 5,421 MW are under tender process. The government has launched prepaid metering system and by 2021, the entire electricity distribution system will be brought under prepaid metering system, the power cell official said.